We're not exactly sure when Justin Bieber came to talk himself serious enough to open a fashion clothing line, but we're not totally mad about it. After initially teasing his line with a pair of cheap hotel slippers back around the holidays, the pop singer has now officially launched his streetwear brand, House of Drew. Because why settle for a simple name when you can make it fancy by adding "house of" in front of it? The label's name comes from Justin's own middle name and the collection features skate and lounge wear that's meant to be unisex. 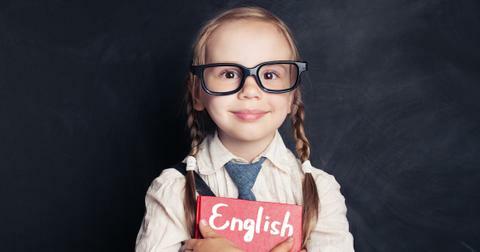 The site's "About Us" describes Drew as "a place where you can be yourself. Blah blah blah blahsdbksjdfhl. Wear like you don’t care. Come chill. K. Bye." What?! Whatever. It feels to me like they're begging to be roasted into oblivion, just from their site alone. As soon as a few of the items rolled out on Instagram, the memes started rolling in. While the current collection, which ranges between $48 and $148, targets normal people who might not have the budget for Yeezys, many are thinking Kanye served as more than just inspiration for the clothing line. 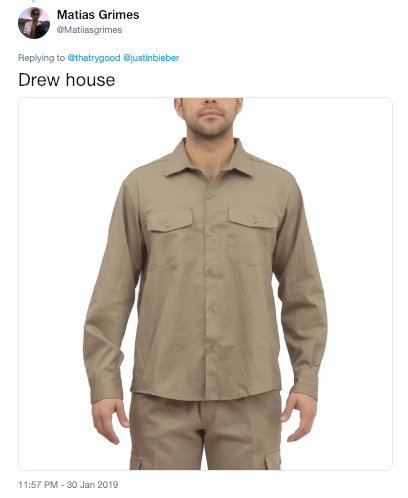 "Justin Bieber launches his own fashion line called Drew House, which looks suspiciously similar to Kanye West's Yeezy line," tweeted one person who used side-by-side imagery to highlight the similarities between the two. The beige clothes couldn't help but remind some people of another familiar sight. "They just escape Litchfield?" wrote one person on Twitter who thought Justin's line looked straight out of Orange Is the New Black. "Genuinely thought it was actually an OITNB poster when I first looked at it," responded another. "Why this look like they about to drop the hottest gospel album called 'My Chains Are Gone'?" wrote someone else. 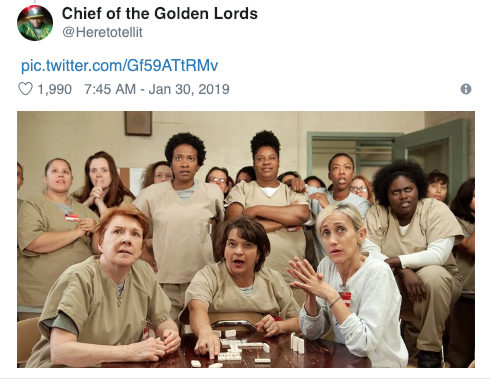 Others think it's reminiscent of TV, but not quite of the female inmates. 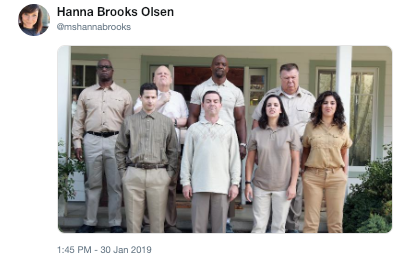 Rather, a lot of Twitter thought of the Brooklyn 99 cast, specifically in the episode "when everyone had to get dressed at the Boyle's cow farm," as one woman on the platform notes. 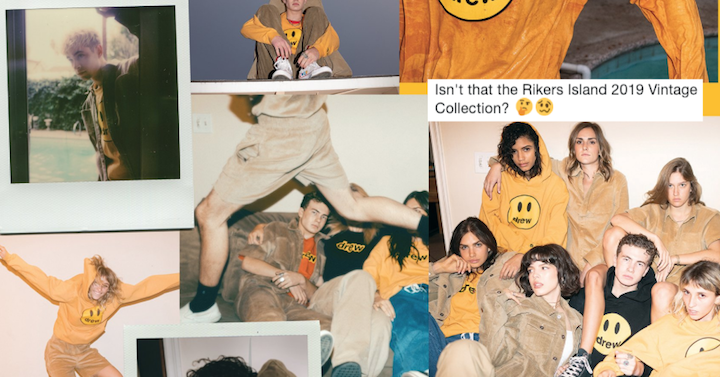 Plenty of people thought of prison uniforms outside of Netflix streaming shows, with one person writing, "Isn't that the Rikers Island 2019 Vintage Collection?" 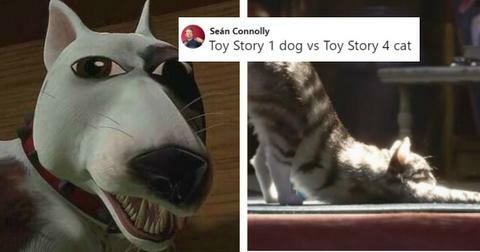 I mean, if the shoe fits. "Are they prison uniforms, work uniforms? What is this crap," wondered another. "If these UPS workers don't clock back in," added someone else on the platform. Like, honestly what was the mood board inspiration for this clothing line? I wish I had been a fly on the wall during the company's in-depth design discussions. Some are comparing Justin's line to the style of a certain Australian crocodile hunter. 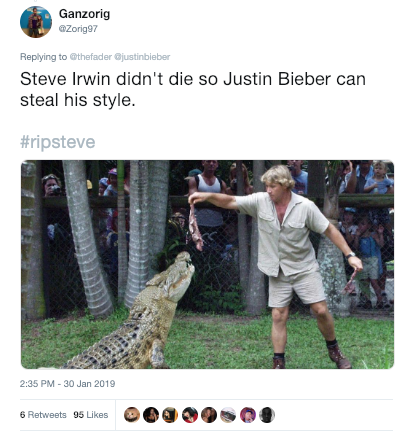 "Steve Irwin didn't die so Justin Bieber [could] steal his style," wrote one die-hard fan of the wildlife star. "What in the crocodile hunter hell?" added another. Others are finding creative ways to basically say, in simple terms, that the style is boring AF. 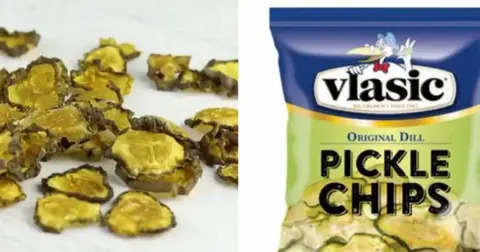 "Looks like my laundry when I forget to separate before washing," commented one person, while another wrote, "Janitors are going to be styling..."
Another comparison for the "Caucasian camouflage" is a very sad-looking chicken that made the meme rounds a few weeks ago. "This is unseasoned," they wrote. I can't help but wonder whether Justin Bieber is thinking it might be "too late now to say sorry." Though I can't say I'll be rocking this kind of attire anytime soon, I do hope more people do because it makes for very humorous times on the internet. If you'd like to cop a T-shirt or two that'll make you feel like you took part in an important moment of internet history, or just make fun of more of their product imagery, head over to House of Drew.